We badly need to gather our thoughts and clear our minds. We need a political ceasefire without conceding ideological territory. Zulfikar Ali Bhutto (5 January 1928 – 4 April 1979) served as the President of Pakistan from 1971 to 1973 and as Prime Minister from 1973 to 1977. 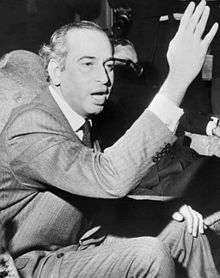 Bhutto was made leader of Pakistan hastily shortly after Pakistan's bitter defeat in 1971. He was the founder of the Pakistan People's Party (PPP), largest and most influential political party of Pakistan. Bhutto was executed in 1979 following a controversial trial in which he was convicted of authorizing the murder of a political opponent. His son, Murtaza Bhutto was Member of Parliament of Pakistan and was also assassinated in 1996 Police encounter. His daughter Benazir Bhutto afterwards became leader of the PPP, serving twice as Prime Minister of Pakistan before her assassination on 27 December 2007. I give you the celebration of a celebrated memory and a celebrated name. As quoted in The New York Times (6 July 1973). Speaking to a his daughter Benazir Bhutto, as quoted in her book Daughter of the East (1989). Letter to his attorney, Yahya Bakhtiar, after his death sentence, as quoted in My Dearest Daughter : A letter from the Death Cell (2007). The theories, the dogmas and the scripts stand outside the gates of history. The dominant factor is the aspiration of the people and the ability to seek total identification with it. Your grand-father taught me the politics of pride, your grandmother taught me the politics of poverty. I am beholden to both for the fine synthesis. To you, my darling daughter, I give only one message. It is the message of the morrow, the message of history. Believe only in the people, work only for their emancipation and equality. The paradise of God lies under the feet of your mother. The paradise of politics lies under the feet of the people. 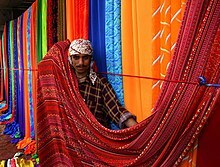 The most progressive and powerful society in the civilized sense, is a society which has recognized its ethos, and come to terms with the past and the present, with religion and science, with modernism and mysticism, with materialism and spirituality; a society free of tension, a society rich in culture. What gift can I give you from this cell out of which my hand cannot pass? I give you the hand of the people. What celebration can I hold for you? I give you the celebration of a celebrated memory and a celebrated name. You are the heir to and inheritor of the most ancient civilization. Please make your full contribution to making this ancient civilization the most progressive and the most powerful. By progressive and powerful I do not mean the most dreaded. A dreaded society is not a civilized society. The most progressive and powerful society in the civilized sense, is a society which has recognized its ethos, and come to terms with the past and the present, with religion and science, with modernism and mysticism, with materialism and spirituality; a society free of tension, a society rich in culture. Such a society cannot come with hocus-pocus formulas and with fraud. It has to flow from the depth of a divine search. In other words, a classless society has to emerge but not necessarily a Marxist society. The Marxist society has created its own class structure. The favourite slogan, the one that caught on during the May 1968 fête in France was "it is forbidden to forbid". There is nothing to forbid the youth of Europe to reject both communism and capitalism. What will they build in the absence of both systems? Will their concept of building a new structure with a new philosophy mean willful self-destruction? This sounds insane but the youth of Europe is not insane. We badly need to gather our thoughts and clear our minds. We need a political ceasefire without conceding ideological territory. We need a ceasefire to bury dead thoughts and to overcome fatigue. The modus vivendi has to be honourable and above board. Both sides have lost or, should I say, neither side can win. During the ceasefire a combination of existing forces might create a new order or a new equation between existing forces. Whatever the formula, it cannot be evolved on the battlefield of the old or new cold wars. The new international order has to emerge through the demands of a Third World summit conference. The answer to the North-South conflict, which is more serious than the East-West conflict, has to be found honestly and with unimpeachable integrity. Genuine disarmament will not come on its own or by platitudes at special sessions of the United Nations on disarmament, although, I was among the first to propose such a conference eighteen years ago. The dictator is the one animal who needs to be caged. He betrays his profession and his constitution. He betrays the people and destroys human values. Tin-pot dictators have ravaged Asia, Latin America and Africa. In the aftermath, they have done more to promote communism than the works of Marx and Engels, Lenin and Mao. They are the worst tyrants of the post-colonial period. They have destroyed time-honoured institutions and treated their people like animals. They have caused internal divisions and external confusion. The dictator is the one animal who needs to be caged. He betrays his profession and his constitution. He betrays the people and destroys human values. He destroys culture. He binds the youth. He makes the structure collapse. He rules by fluke and freak. He is the scourge and the ogre. He is a leper. Anyone who touches him also becomes a leper. He is the upstart who is devoid of ideals and ideology. Not a single one of them has made a moment's contribution to history. A military junta is the herald communism. The failure to realize this axiomatic fact is the cause of the confusion in Africa, Asia and Latin America. Military rule turns the people totally and irrevocably against the bemedalled generals and their patrons. Where else can the people turn? If freedom, democracy and the rights of man are to be put on the counter to see whether copper and coffee is to cost ten cents more or ten cents less and bargained away with so little consideration, then freedom is a very cheap commodity and the rights of man are not worth a nickel. in Western estimation it is preferable to be a communist leader of a communist state, than to be a non-communist leader of a non-communist state having friendly relations with communist states. The anomaly does not cease here. It is even more dangerous to be pro-West. One disagreement in defence of a national cause, and out goes that civilian leader by a coup d'etat. He gets replaced by a tin-pot military dictator who would not dare to disagree about anything, including the vital national interests of his country. For Christians, the teaching and directives of Christ are more Sacred than those of a Messenger of God. According to the Christians, those teaching and directives are of God Himself. Most of the problems of the Third World would be solved if the Christian West implemented in letter and spirit only one directive of Jesus Christ. The directive to "Render unto Caesar that which belongs to Caesar and to God that which belongs to God". The Third World only want what belongs to it and nothing more. For over two hundred years, the Christian civilization of the West has been mercilessly violating this directive of Jesus Christ. The West has been taking everything belonging to Caesar and everything belonging to God. The West is not dividing the share equitably. It is not rendering to us what belongs to us. This division relates to the economic, social, racial and political rights of the Third World. Above all, there is the beauty of man and woman, the most perfect creations of God. It would be bad politics to try and summarize a situation which is dynamic. Have faith in mankind and its mission. I am partial to the pantheism of Shelley. There is beauty everywhere. Even in a total war of annihiliation it will not be possible to wipe out all of it. Beauty is too beautiful to perish altogether. In this period of twelve months in solitary confinement I have rarely recalled an unpleasant or ugly glimpse of the past. If an unlearned adventurer in his quest for political power and perpetuation brings religion down from its celestial plane to a mundane level by converting it into a narrow political ideology, the adventurer endangers the link between God and man and man and man. Religion is a link between God and man and man and man. Political ideology is a link between man and man. 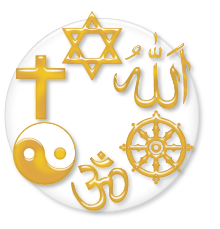 For this reason the great religions of the world like Hinduism, Buddhism, Judaism, Christianity and Islam, the last of all religions, have outlived and outlasted political ideologies. If an unlearned adventurer in his quest for political power and perpetuation brings religion down from its celestial plane to a mundane level by converting it into a narrow political ideology, the adventurer endangers the link between God and man and man and man. The Chief Justice who heard the case was known to have a deep personal antipathy towards him. The Government controlled press poisoned the atmosphere in which the five justices considered the evidence with constant attacks on Mr. Bhutto’s character and record. Half of the case was heard in camera. The quality of the evidence was highly questionable. The prosecution witnesses were a shady bunch. But the task set for the five justices by the soldiers who have ruled Pakistan since last July's coup was quite clear: Mr. Bhutto must be removed. The Economist [London] (25 March 1978). Latif Afridi, president of the Peshawar Bar Association, and a member of the Awami National Party, speaking about Baloch leader Ghous Bux Buzenjo in an interview with NEWSLINE. After his trial, but there were many such appeals by international leaders. He was a human being and also had his weaknesses as all human beings have, but he was an exceptionally brilliant politician and a very courageous man. Above all, he was an ardent patriot who loved his country, lived for it and died for it as a martyr. When the defeated military junta handed over the country to him after its dismemberment in 1971, he devoted all his energies with the single-minded purpose of re-building what was left of Pakistan. Yahya Bakhtiar, his attorney at his trial on charges of authorizing a murder. This is not a parliamentary government, but a Prime Minister's dictatorship. Mahmud Ali Kasuri, former PPP Law Minister who resigned, speaking in reference to the 1973 constitution's draft. I had come from Kabul only after I was assured that there was democracy in the country … but what I saw here was the worst ever dictatorship, it was virtually a one man rule. Khan Abdul Ghaffar Khan in 1972, quoted from a conversation with Yusuf Lodhi. Mr.Bhutto always accused his political opponents of the very actions which he intends to perform himself. Khan Abdul Wali Khan leader of the National Awami Party speaking in court against charges of treason. There is one possible grave for two people … let us see who gets in first. Khan Abdul Wali Khan quoted in Newsweek. Ali Bhutto was a great man … but he could be cruel. Mairaj Muhammad Khan, Ex PPP Minister of Manpower and Labour under Bhutto, sacked by him, and tortured by the FSF, as quoted in Waiting for Allah by Christina Lamb. I found him brilliant, charming, of global stature in his perceptions … he did not suffer fools gladly. Since he had many to contend with with, this provided him with more than his ordinary share of enemies. Henry Kissinger, The White House Years (1979). J. A Rahim, former Secratary General and Federal Minister of the PPP … shouted in disgust at a dinner being hosted by Bhutto . Later that night he was beaten by FSF commando's and sent into exile). He said "either I'll die or I'll be killed" … he was obsessed with it … At times he used to say, "I feel like giving up everything and going away" … he was man of intuition, but he always talked about death. I hate anybody projecting as a leader … if you want to serve the Islamic Ummah and Humanity, do it as a humble person. Amongst Muslims we are all Muslim brothers … not leaders. Muhammad Zia-ul-Haq, quoted in an interview with the Saudi Press Agency. It is either his neck or mine! … I have not convicted him, and if they hold him guilty, my God, I am not going to let him off! Muhammad Zia-ul-Haq, quoted by Roedad Khan. This page was last edited on 26 April 2018, at 20:32.